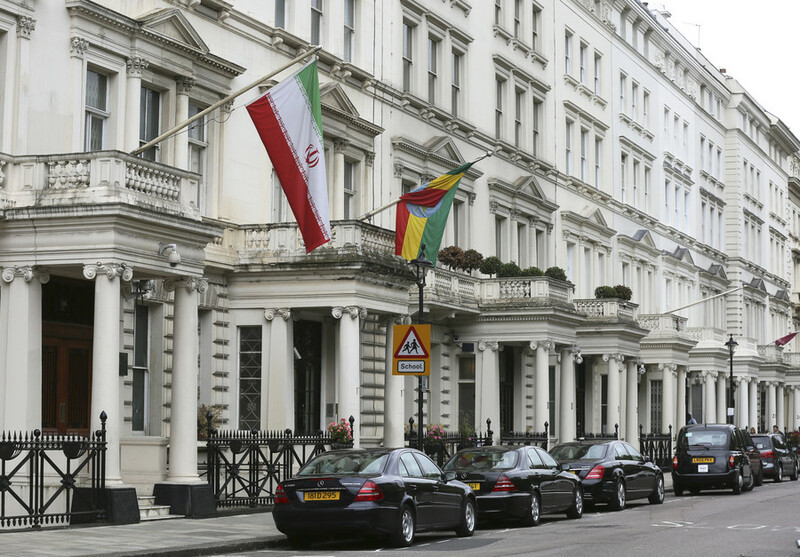 A group of men in black attire have scaled the façade of the Iranian embassy in London and have taken down the flag. The banners displayed by the men suggest a radical Shia group was behind the stunt. 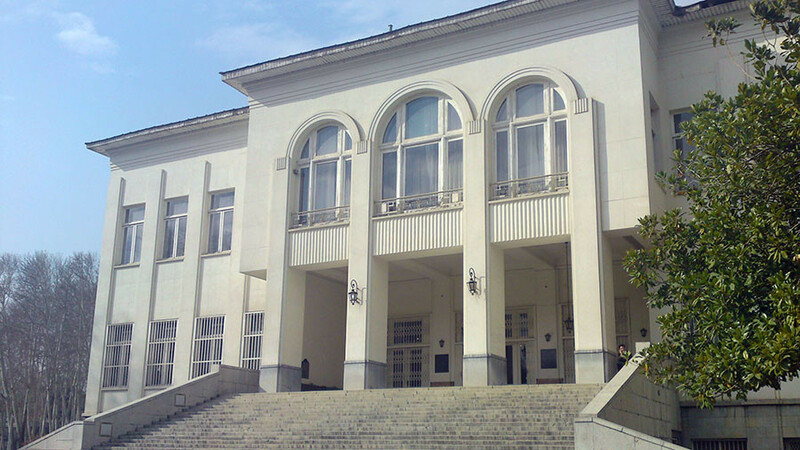 Footage posted online shows the men on the balcony of the embassy building. One of the men apparently just took down the Iranian flag, while two others displayed the flags of the UK-based radical Shia Muslim Khoddam Al-Mahdi organisation. 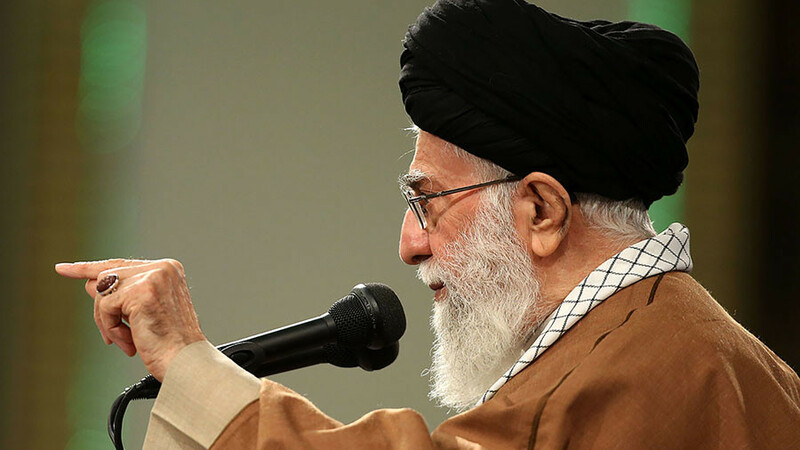 The organisation was founded by Sheikh Yasser Habib, a Shia preacher known for his controversial views on Muslim history and for repeated insults of the Prophet Muhammad’s companions. His views got him 35 years in jail in Kuwait back in the 2000s. The preacher’s term was cut short, though, and he fled the country, eventually gaining asylum in the UK. The Metropolitan Police have reportedly confirmed the incident, journalist Nahayat Tizhoosh tweeted, citing fellow journalist Laura McQuillan. The men reportedly got to the roof and police were negotiating for them to come down. 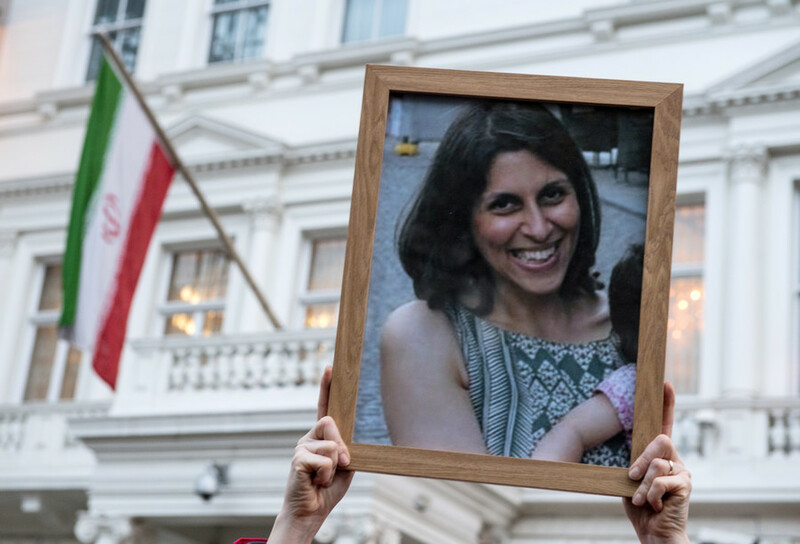 Four men have been arrested in connection with the incident, according to Iran's Ambassador to the UK, Hamid Baeidinejad. He tweeted that more perpetrators could still be on the grounds of the embassy. 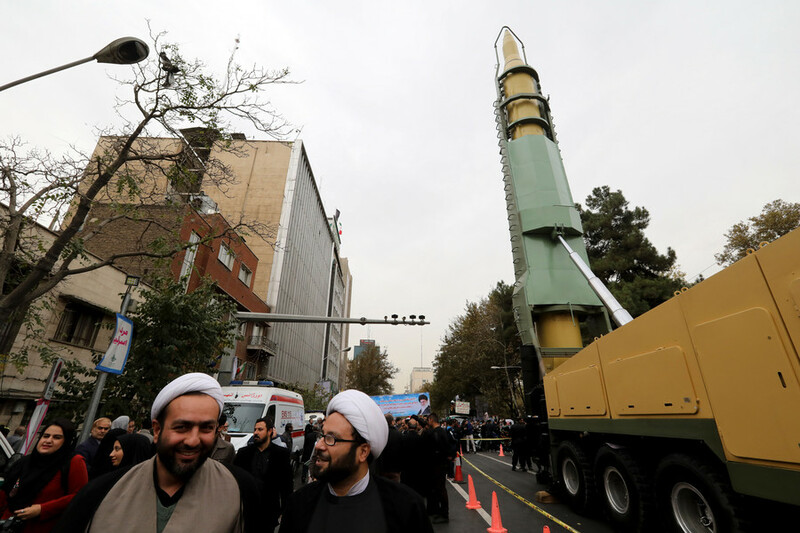 Initial reports on social media suggest the men are from a religious organization loyal to the ideas of the late Shia Muslim cleric, Grand Ayatollah Muhammad Al-Shirazi. 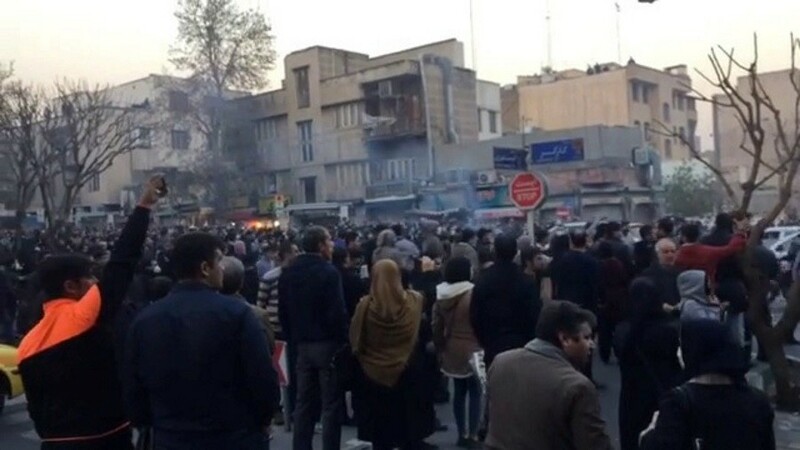 #Iranian Embassy in #London has been attacked by supporters of Shia cleric Grand Ayatollah #Shirazi, whose son Hossein had recently labelled Iran's Leader a “Pharaoh” and was arrested in March.